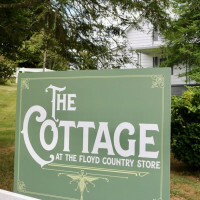 Floyd Lodging is as diverse as its culture- from our green downtown Hotel Floyd, historic Bed and Breakfast Inns, modern yurts, quaint mountain cabins or rustic camping. No matter where you land, you’ll be cradled in Floyd home-style hospitality. 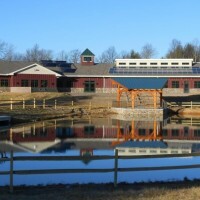 Apple Ridge Farm provides outdoor experiences for people of all ages. 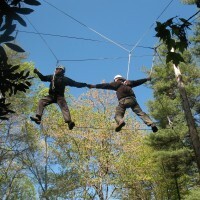 Weddings, Retreats, Zipline, High Ropes, Hiking, Camping, Bed & Breakfast, Summer Camps, and more! 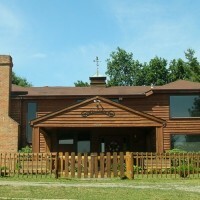 Bent Mountain Lodge Bed & Breakfast, Inc.
15,000sq.ft. lodge overlooking Blue Ridge Parkway. 10 suites all with private baths. Excellent location for weddings, family reunions, etc. Spectacular views from all directions. 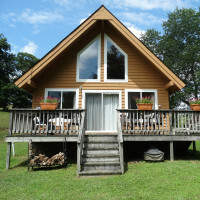 Situated one mile from the Blue Ridge Parkway mile marker 161.3 and conveniently located near the town of Floyd, FloydFest and Chantilly Farm festival sites. 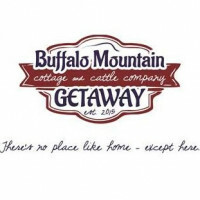 There’s no place like home, except here at Buffalo Mountain Getaway. Stay a night or more. The longer you stay the more you save. 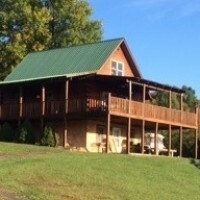 The cabins are on a 66 acre farm nestled in the Blue Ridge Mountains in Willis, VA with a fully stocked pond, stream and trails. 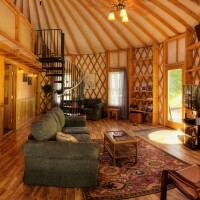 Cozy farmhouse accommodates up to 8 guests. Only 1/2 mile off Parkway at Milepost 152 and 15 minutes to downtown Floyd. Join us! 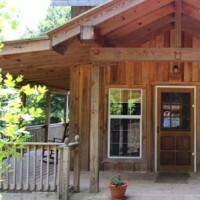 A cozy getaway located behind the famous Floyd Country Store in downtown Floyd, Virginia. 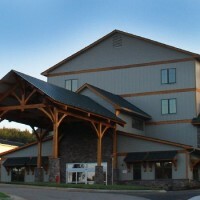 The Floyd Event Center is the perfect facility for weddings, retreats, or any event. 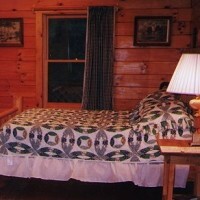 With lodging and camping, we can accommodate your group large or small. Recently renovated 100-year old rustic style cabin, overlooking a trout stream,in the Blue Ridge Mountains of Floyd County, Virginia. 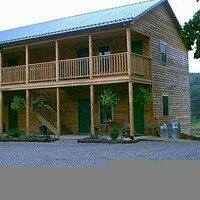 A great place to stay in Floyd, Virginia! Walking distance from the Friday Night Jamboree, Artisans Market/Saturday morning Farmer's Market, antique stores, galleries and restaurants. A boutique hotel with 40 spacious rooms/suites, and fully equipped meeting and event facilities... in the heart of downtown Floyd. At 2700' elevation, the cabins offer spectacular mountain views enjoyed from inside or from a rocking chair on a large covered porch. Two bed room, two bath cottage. Covered decks. On ridge with 70+ mile views. Our B&B sits on the banks of the Little River. 5 minutes from downtown. 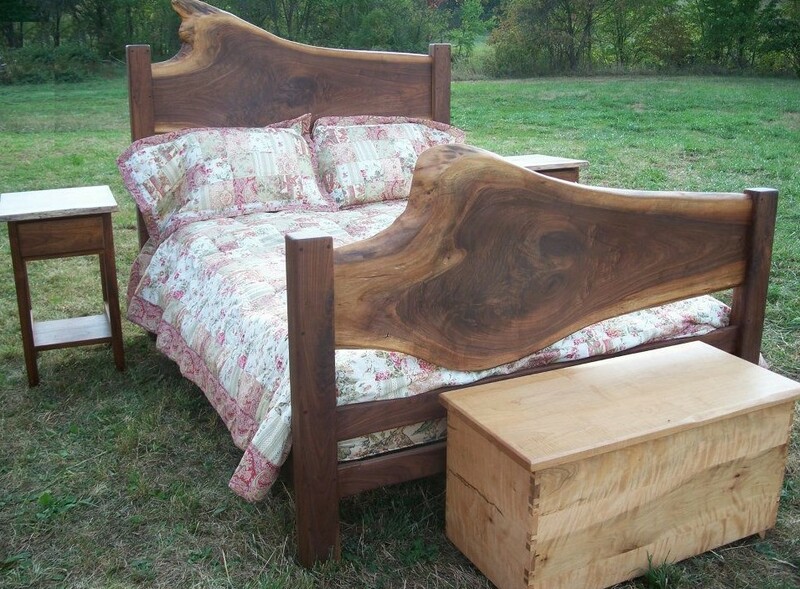 Full breakfast , private bath, wi-fi. Quiet, relaxing. Pet friendly. 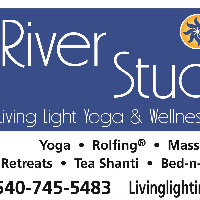 Living Light River Studio offers an onsite Bnb, Yoga classes, Massage, Rolfing, Movement classes, Sauna, Hot tub, couples massage & events. Maybelle's Guest House~1908. Beautifully renovated~large kitchen/dining, back deck, shaded yard, 10 acres, 4 bedrooms Floyd-20 mins Roanoke/ Blacksburg 40 mins 7 miles to the Parkway. The romantic Mountain Rose Inn is a 1901 Victorian Home that offers historical country elegance within the shadows of the beautiful Blue Ridge Mountains. Mountain Song Inn is the perfect place to stay when you are looking for beauty, peace, and privacy for that special time away. We are a 5 star rated inn by Trip Advisor, ready to make your escape from every day life a very special one. 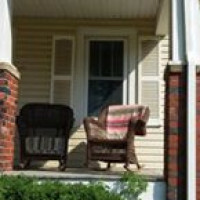 Comfortable, Affordable Lodging Rt.8 1/2 mile from Town of Floyd / stoplight 4 king rooms, 6 double rooms, 2 suites. Family friendly environment. All rooms are non-smoking. 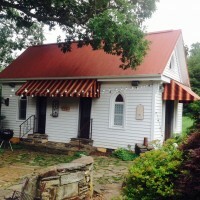 The cottage has a king size bed, kitchenette, bathroom and sitting area on the first floor and more sleeping accommodations in the loft. 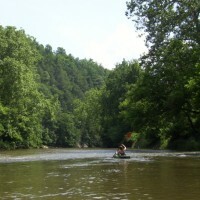 A canoe, kayak or tube awaits on scenic Little River. Shuttle service, rentals, camping, youngsters and seniors- its the new side of Floyd. 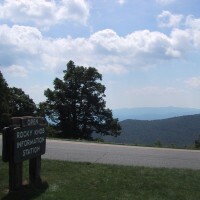 One room log cabins with bath, located near the Town of Floyd and the Blue Ridge Parkway. Listen to sounds of the rambling brook. 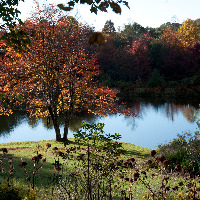 Secluded country retreat overlooking spring-fed pond in pastoral and wooded setting. Light and airy, with welcoming ambiance. Sleeps up to 5 adults with full housekeeping facilities. “Continuum of Being” emphasizes humanity as an organic element in nature, highlighting our vulnerable place within nature while striving to impose minimal impact. 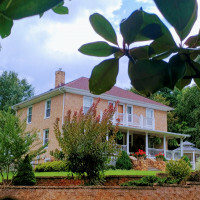 Located one mile from the Floyd Country Store, StoneHaven offers the setting of days gone by in this rich, original 1920's Georgian style home. 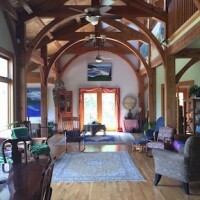 Welcome to Stonewall Bed & Breakfast, a spacious three-level log home set in a native mountain forest in the Blue Ridge Mountains of rural Virginia. 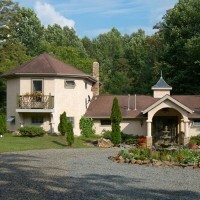 Located EXACTLY at MP 152 on the Blue Ridge Parkway, Stoney Meadow Inn B&B has private, spacious accommodations. Delicious home cooked breakfasts. Free WiFi. 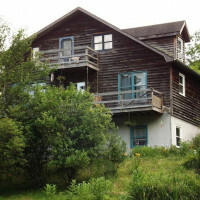 The Cottage on Main - Quiet, private, simple, elegant lodging situated on the property of the Harman-O'Neill Victorian Estate, "Millstone Manor." A beautiful historic hotel built in 1927 known for its charm and southern hospitality. Suites and cottage. 1.2 miles north of downtown Floyd on Rt. 221. 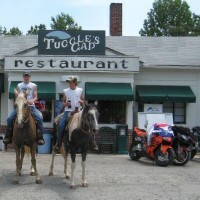 Eclectic food and drink on the Blue Ridge Parkway. Open seven days a week serving breakfast, lunch and dinner in season. 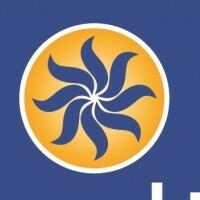 We love to serve you. 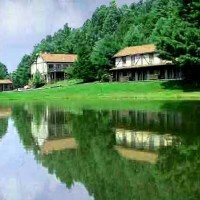 Lovely 16 room inn, restaurant and full-service bar just off the Blue Ridge Parkway at Milepost 174. Close to Mabry Mill and Cheateau Morrisette Winery.